N-Methylaminobenzene—Changzhou Baolong Chemical Industrial Co.,Ltd. 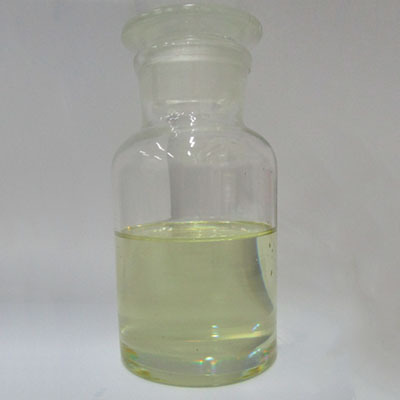 This product is mainly applicable to pesticide intermediate, dyestuff intermediate, medicinal intermediate and organic synthetic materials, as well as used as gasoline octane booster, acid absorbent, solvent and explosive stabilizer. Packing：To be packed in the plastic drum or internally-coated metal drum (the galvanized iron drum for export), and the net weight of each drum is 200kg. Storage & Transport ：It should be stored in the cool ware-houses with good ventilation,keep from fire and heat source, packed in the sealed container and separated from oxidizer, acidoid and edible chemicals. Mixed storage and transportation are not allowed. It must be protected from insolation,rain and heat during transport. Physicochemical Property ：It is inflammable and explosive when it comes in contact with fire,high temperature and oxidizers. It is a pale yellow or reddish brown liquid that is dissolved in alcohol, ether chloroform and semisoluble in water.The molecular weight is 107.15,boiling point is 194-197℃ and the melting point is -57℃.